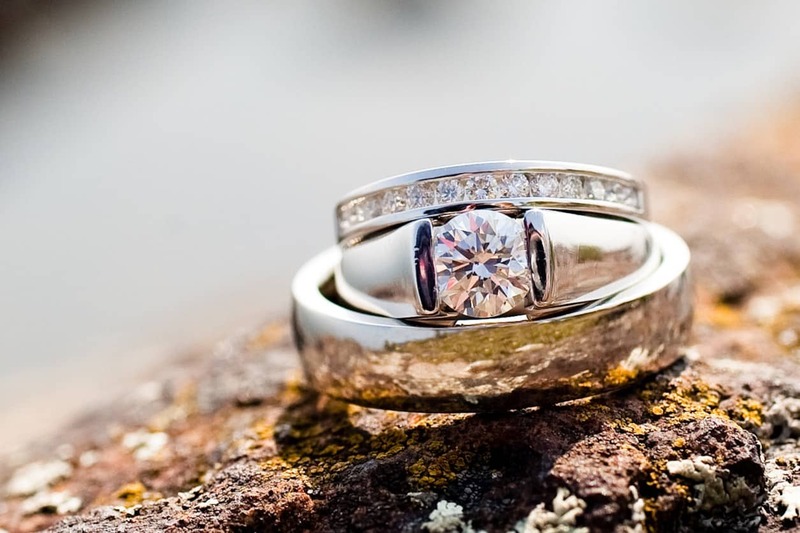 Contrary to popular belief, the choice of wedding rings is one of the key moments of the entire organization. This little gem will be the symbol of your fidelity and love that you will join during the wonderful journey you will take together and therefore must never be underestimated! It is worth mentioning that the custom of wearing the wedding ring on the ring comes from ancient Rome: at the time, it was thought that this finger passed the amoris vein, that went directly to the heart, and for that reason to bring the faith of this finger had a very important significance. Today the choice of the wedding rings is made almost exclusively on the basis of present trends and the style of the wedding. Traditionally, wedding rings were almost all in yellow gold but in recent years with the trend of the uniqueness research, the colors and the materials of the wedding rings are becoming more differentiated and specific. 1. The gold remains in first place, with all its nuances, yellow, white and rose. Even platinum will continue to be used for the wedding rings and remains a very exclusive and precious material. 2. Although the classic wedding rings in yellow gold does not pass out of fashion, the novelty of 2017 is the rose gold. This material from the delicate and elegant style is loved especially by young brides and will be the big must of this season. 3. You all know that traditional wedding rings have the incision hidden with the date and the names of the couple, right? This year’s proposal is the faith with the engraving on sight, customized. These rings are spectacular and are made in a very elaborate way and can be customized according to your personal taste. 4. The most widespread novelty is to choose wedding rings made of more types of gold adjacent to one another. The exclusivity is the possibility of designing your own faith and have thus a single pair. 5. The latest innovation is to choose the different faiths, between husband and wife, especially in young newlyweds. Usually the woman chooses a wedding ring that can match with the engagement ring, thin with a brilliant. While he opts for a wedding ring, flat in platinum or white gold with engraving in the middle or at the side of faith. You are ready to choose your wedding rings?